“Good is the enemy of excellence. Leadership is the challenge to be something more than average. Participants feeling beat up by feedback reports. Negative response or avoidance of 360 multi-rater feedback tools. Defensiveness and fear of making mistakes. Data denial and feedback phobia. Working on a weak area and only getting it to average – with mediocre results. Extraordinary leadership is obtainable. A leader needs to develop just three existing strengths out of 16 competencies to increase his or her leadership effectiveness from the 34th to the 80th percentile! Building strengths is proving to be the only way to move from an average or ordinary leader to extraordinary or exceptional. In a series of studies looking at the impact of leaders choosing to fix weaknesses versus building on existing strengths, leaders who magnified their existing strengths showed two – three times more improvement in leadership effectiveness than leaders who worked on fixing their weaknesses. Building strengths is the only way to become an extraordinary leader. A strengths focus produces up to three times higher change and improvement. Profits, sales, engagement, morale, and energy levels, turnover, health and safety, and customer satisfaction skyrockets. The spectrum of development methods broadens with cross-training and Companion Competencies. Participant motivation to improve is much higher. Organizational culture is much more positive and energized. It’s a lot more fun to work on strengths! How do 'soft' leadership skills impact the bottom-line of my organization? Developing current and future leaders is a top priority for HR and executive leadership, year after year. Why? 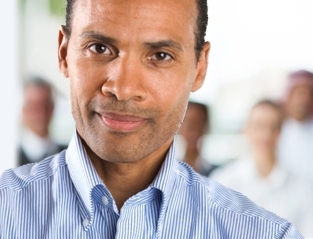 Highly effective leaders make a profound difference in their organizations. This powerful leadership development system uses strengths-based leadership development, on a foundation of evidence-based approaches, producing a highly personalized development plan, that’s built around a best of class 360 multi-rater tool. Learn the 16 empirically identified key leadership competencies in 5 clusters that cause leaders and their team/organizations to flounder or flourish. Understand the significant on-the-job performance differences between “good” and “extraordinary” leaders and the dramatic impact on his or her team/organization. Why building on existing strengths is up to 3 times more effective than fixing weaknesses. When to work on weaknesses. Understand and cut through the complex interplay of strengths, weaknesses, and performance. Prepare to receive an individual 360 multi-rater leadership feedback report, understand the report structure, interpret the data, and learn how to use it in a positive way for growth and development. Perform a step-by-step analysis of the personal feedback report using a structured process with individual and group exercises. Aligning and multiplying his or her unique strengths and passion for improvement with the organization’s needs. Research-based strength development using Companion Competencies, cross-training, and non-linear approaches to build an Individual Development Plan. Identifying THE key competency for development that will drive each participant’s broadest improvement for his or her personal situation. Coaching, implementation follow through, and the support processes/tools to make learning stick. The Extraordinary Leader process is being used extensively for individual leaders at all levels of an organization from senior executives to first-line supervisors. Customized in-house sessions are delivered to executive or management teams, other intact or cross-functional work teams, or to individuals gathered from different parts of an organization. Be tailored to an organization’s existing competency model. Provide flexible delivery options, including individualized coaching, etc. Link to organizational culture development efforts. The online Extraordinary Leader multi-rater (360) assessment and personal feedback report. The Extraordinary Leader Participant Manual and unique, cross-training development tool, the Competency Companion Development Guide. – Ryan Hurlbut, Workplace Development Manager, Pillar Resource Services Inc.
– Ricardo Fuchs, Vice President, Serv Corp, Inc.
Jim provides the 'coaches' huddle to take action at your workplace and life.